The dev channel has been updated to 75.0.3770.8 for Windows & Mac and 75.0.3770.9 for Linux. Hi, everyone! We've just released Chrome 74 (74.0.3729.112) for Android: it'll become available on Google Play over the next few weeks. You can see a full list of the changes in the Git log. If you find a new issue, please let us know by filing a bug. Hi everyone! We've just released Chrome Beta 74 (74.0.3729.112) for Android: it's now available on Google Play. The Chrome team is delighted to announce the promotion of Chrome 74 to the stable channel for Windows, Mac and Linux. This will roll out over the coming days/weeks. Chrome 74.0.3729.108 contains a number of fixes and improvements -- a list of changes is available in the log. Watch out for upcoming Chrome and Chromium blog posts about new features and big efforts delivered in 74. This update includes 39 security fixes. Below, we highlight fixes that were contributed by external researchers. Please see the Chrome Security Page for more information. And of course, Lite mode will continue to respect your privacy. When Chrome optimizes an HTTPS page, only the URL is shared with Google and other information such as cookies, login information, and personalized page content is not shared with Google. We never break secure connections between Chrome and a website. 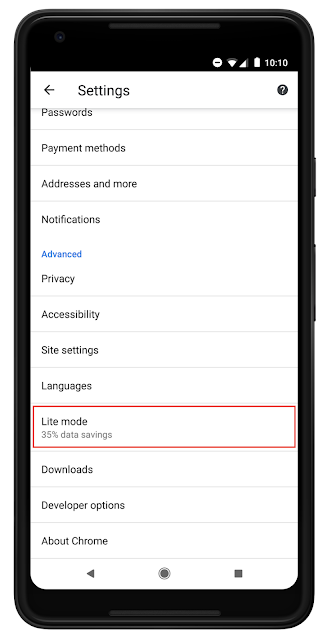 Lite mode is available only on Chrome for Android. The Chrome Data Saver desktop extension will be deprecated in M74. To enable Lite mode, select Settings > Lite mode and toggle the setting to On. 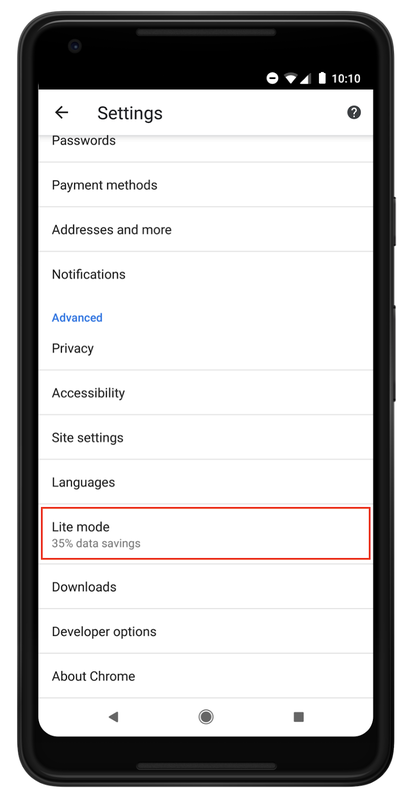 If you already have Data Saver enabled, then Lite mode will automatically be enabled. The beta channel has been updated to 74.0.3729.108 for Windows, Mac, and, Linux. The Beta channel has been updated to 74.0.3729.90 (Platform version: 11895.74.0) for most Chrome OS devices. This build contains a number of bug fixes, security updates and feature enhancements. A list of changes can be found here. The Science Journal app is now integrated with Google Drive. You can sign in with your Google Account to access your experiment data across your devices. The beta channel has been updated to 74.0.3729.75 for Windows, Mac, and, Linux. The dev channel has been updated to 75.0.3759.4 for Windows, Mac & Linux.